I am like SO overdue on posting this, but my camera took a lovely nose dive to its death around the time I flat ironed my hair which ruined things for awhile. I mean what's a length check posts without pictures?! I still have yet to replace it, but I did manage to recover my pics. I hit my 2 year of mark of being on a hair journey while I had in my last set of crochet braids so I was anxious to see the progress I'd made once I relaxed. So, I have 3 areas I'd like to focus on for this update: my nape, the thickness of my hair, and my length, of course. Without a doubt, I am most excited about the progress I have made with these 2 layers of my nape. If you follow me on Instagram then you probably saw my progress pics earlier this week. Aaahhh!! I seriously do not remember the last time my nape was this healthy and thick/full. And I don't know if it's ever been this long. I talked about the issues I've had with my nape, discussed the progress I started to see with my nape once I was challenged to consistently take care of it, and now, I am pleased to say it is in a completely different state than it was just seven or so months ago!! Did I say how excited I am about it!?! It was initially Jen's 6 Month Nape Challenge that truly inspired me to assess my own nape and intentionally do something to change it. I don't think I ever expected it to change as much as it did so quickly. It is close to being the same length as the rest of my hair now. 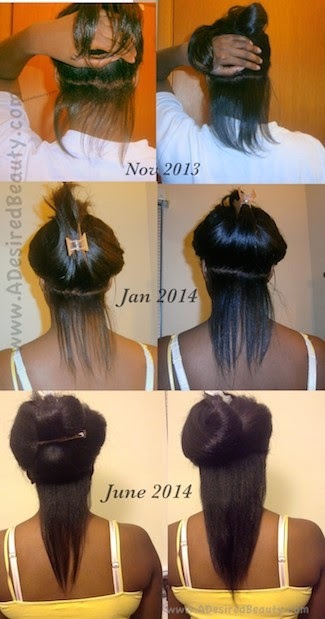 In my opinion, my nape improving this way was a major improvement in the overall health of my hair. Like I actually feel I have a head full of healthy hair at this point. Next we have my lion's mane! Lol! This stuff speaks for itself. My hair has gotten so thick that sometimes I don't even know what to do with it. I love it though. Even when I'm deep in a stretch, haven't sectioned my hair enough when washing it and realize some of my hair is still completely dry because the thickness is protecting it from the water - yea I still love it during those times. I am learning to whole-heartedly embrace its bigness, too. When I style my hair big, it's great. But when I style my hair one way and then it chooses to get big... yea that's #thestruggle I have right now. I feel like it's disrespecting me, but really it's just doing what it does best. I need to learn to use it to my advantage more. I remember having very thick hair when I was a kid, but I wasn't the one taking care of it back then. So, I'm learning what it is to tame this beast. Last, but certainly not least, we have my length. My strands hit bra strap length (again!) and then I trimmed cut them (again!). Whyyyy?? Well even though I don't really struggle with split ends or anything like that, I just hate thin ends y'all! Like HATE. I am a reformed I-need-a-trim-every-8-weeks-girl so be patient with me please. I try to tell myself they're not that bad and convince myself to just hold off, but I can't get over them. It's like they're constantly taunting me until I'm forced to remove them with my scissors. If they're see through, they've gotsta go. My last length check & trim had a lot more thin/see thru ends than this one, which I think really speaks to the improving health of my hair. My goal was to grow my hair to my desired length and then trim away the bone straight ends, but apparently I couldn't deal long enough to let that happen. I cut about two inches off, pretty much removing the tip of this cute little v-shape tail that I haven't seen my hair grow into before. Since I want all my bone straight ends gone anyway, I'm never really upset with myself for these cuts. I didn't flat iron my hair bone straight and the humidity was already working on my roots, but hopefully you get the idea of its length. So I'm still hovering right above my bra-strap. My goal is not to cut or trim my ends until the end of the year. Next time I relax, I'll flat iron my hair bone straight for a better pic, too. Even though I'm still around the same length, the fullness of my length has changed so much. I'm quite happy about that since my goal is to have full, thick hair from root to tip. Woooow. The progress you've made is insane. Your hair is so pretty, keep up the hard work! 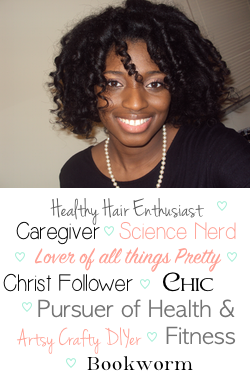 Keep doing what you're doing because your hair is making leaps and bounds in the right direction! Beautiful hair (and progress), Melanie! Thank you, Kim!! I appreciate the encouragement! Woop woop to 2 years! The thickness of your hair is to die for, its like the wild side has come out to play! You are doing really well Mel! 3. Length - on point!! 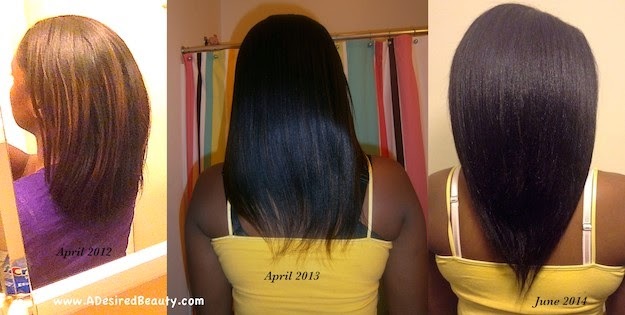 I know how you feel about the lack of length progress but girl you have progressed.your ends have filled in and they are thick! You sound scissor happy, every 8 weeks if you must :/ step away! Ok let me stop here, having a mini conversation on your wall! Lol I love your mini conversation, Yvonne! Especially the "wild side". Thank you!! Girl I seriously used to be scissor happy pre-hair journey. If my stylist even hinted at my ends not looking nice or my layers growing out, I told her to cut it. AND I would cut it myself, too. I didn't realize it was such a problem until I was wondering why my hair wasn't getting much longer and one of my friends pointed out my frequent cuts & trims lol oopsie!